Whoa, two updates in one day? 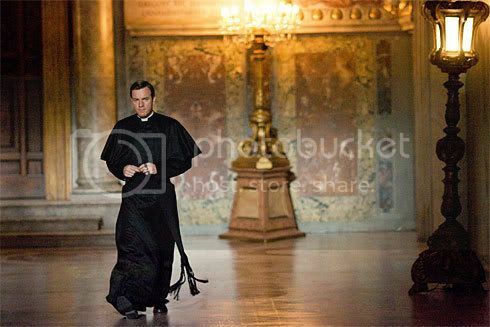 Seriously, I don't want to give Dan Brown any more of my money, but then the first still of Ewan McGregor in Angels and Demons was released. My icon is the face I am making right now. Dammit, now I have to see this movie too. I gotta say, the payoff will be worth it if they do that whole Latin-on-cellphones thing that they did in Da Vinci Code.